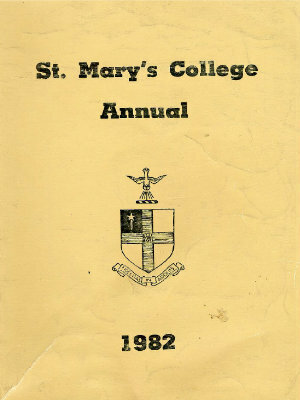 Click on the image to view the 1980 School Annual. 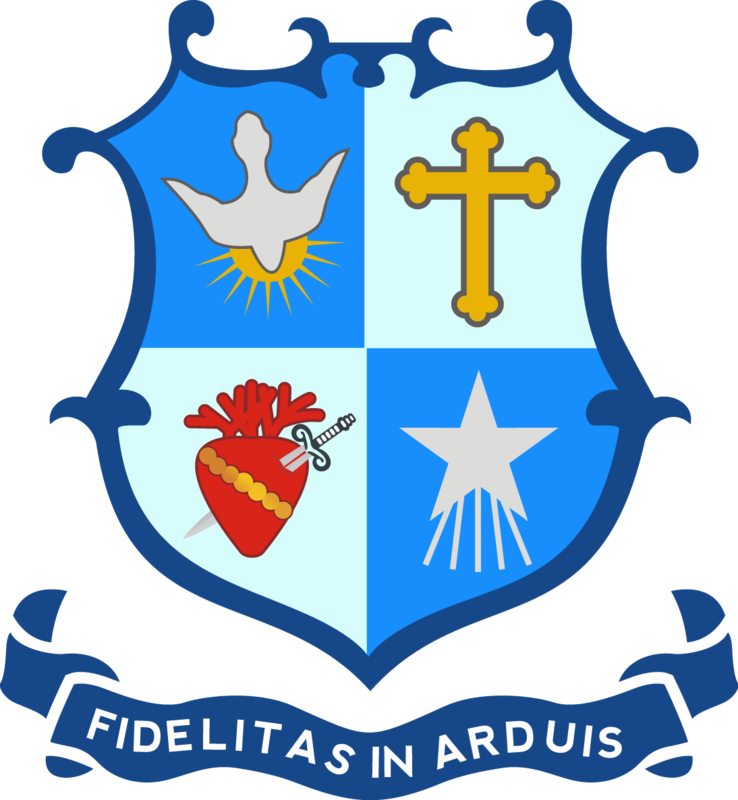 The contents page contains a link to each Chapter. To search for a specific name or a word, click CTRL-F to search within the document. 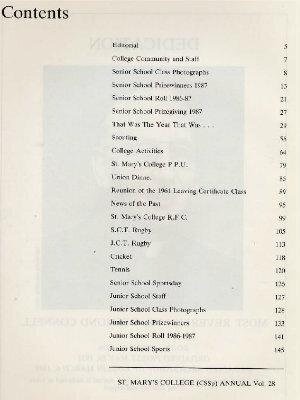 Click on the image to view the contents page of the 1980 School Annual. 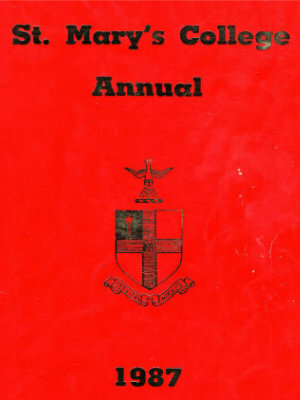 Click on the image to view the 1981 School Annual. 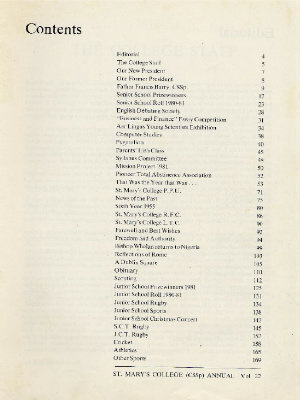 Click on the image to view the contents page of the 1981 School Annual. 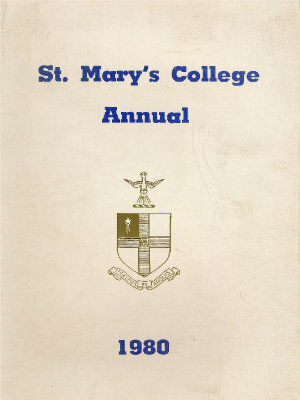 Click on the image to view the 1982 School Annual. 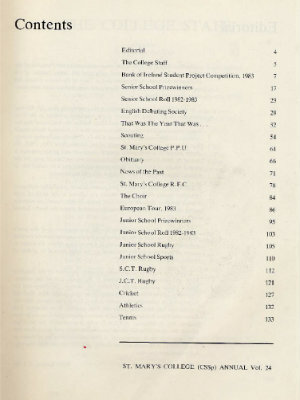 Click on the image to view the contents page of the 1982 School Annual. 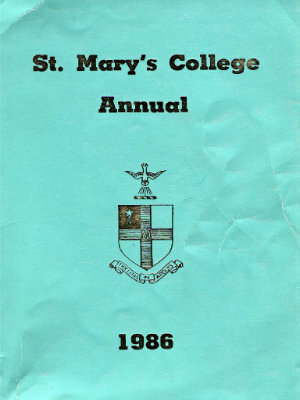 Click on the image to view the 1983 School Annual. 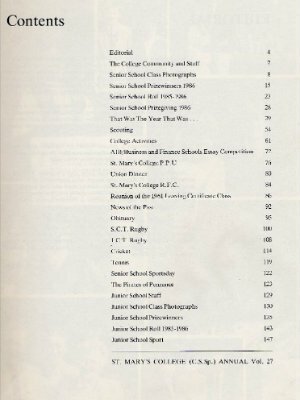 Click on the image to view the contents page of the 1983 School Annual. 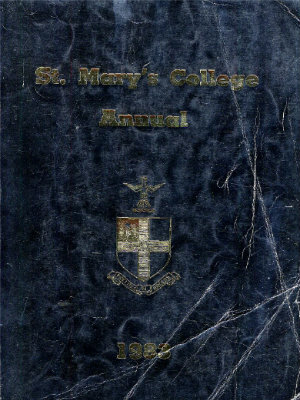 Click on the image to view the 1984 School Annual. 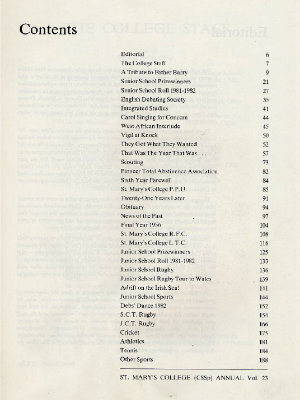 Click on the image to view the contents page of the 1984 School Annual. 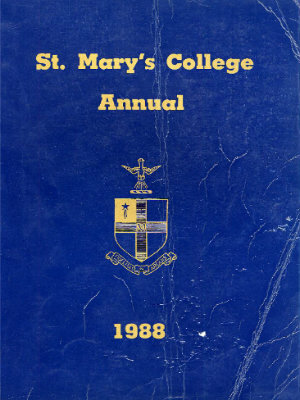 Click on the image to view the 1985 School Annual. 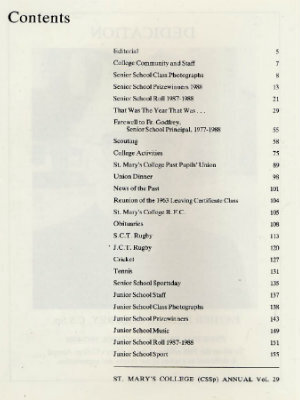 Click on the image to view the contents page of the 1985 School Annual. 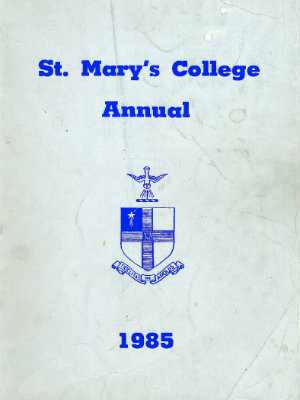 Click on the image to view the 1986 School Annual. 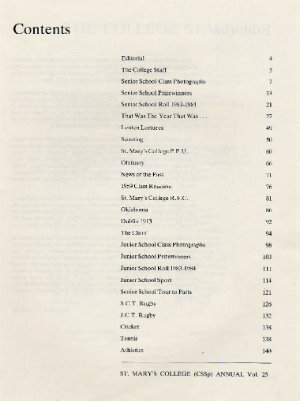 Click on the image to view the contents page of the 1986 School Annual. 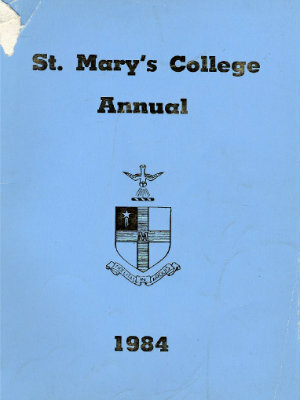 Click on the image to view the 1987 School Annual. 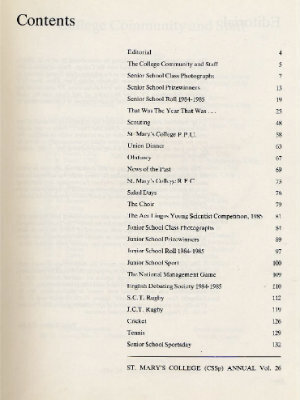 Click on the image to view the contents page of the 1987 School Annual. 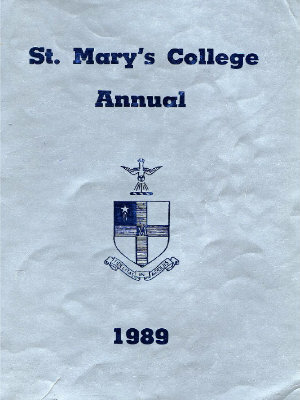 Click on the image to view the 1988 School Annual. 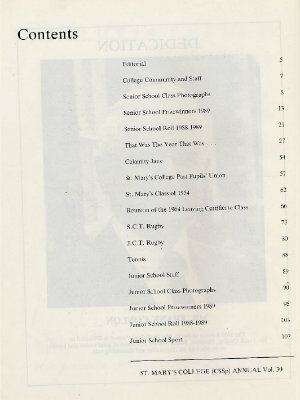 Click on the image to view the contents page of the 1988 School Annual. 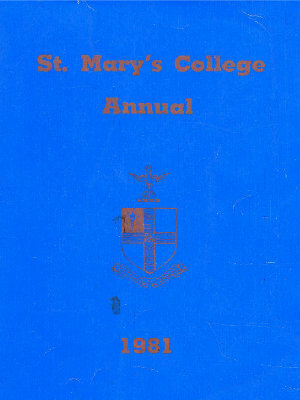 Click on the image to view the 1989 School Annual. 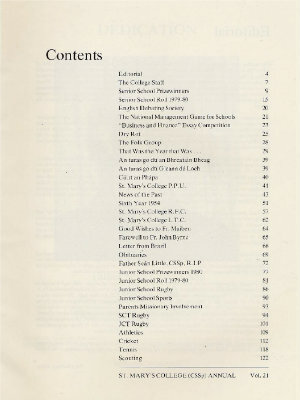 Click on the image to view the contents page of the 1989 School Annual.